Dr. Randall Linton, shown in the Luther Building lobby in Eau Claire, retired April 30 as president and CEO of Mayo Clinic Health System for northwest Wisconsin. When Dr. Randall Linton came to Eau Claire in 1981 fresh from a medical residency at the University of Iowa, he joined what was then a relatively small practice known as Midelfort Clinic. Thirty-six years later, Linton is stepping into retirement after serving as president and CEO of Mayo Clinic Health System for northwestern Wisconsin, a job in which he oversaw five hospitals and 12 clinics with a total of more than 5,000 employees. And it’s not just the Chippewa Valley’s medical landscape that has evolved across 36 years. The community has changed and grown as well, often hand in hand with the institution that became known as Luther Midelfort after a 1992 merger and was officially renamed Mayo Clinic Health System in 2011. “The concept of a vibrant, thriving community and what’s been happening downtown and (with) the arts … is important to everyone in the community, and it’s clearly been important to us as well,” Linton said in an interview just a few days before his April 30 retirement. Caring for people’s medical needs, as important as it is, is only a small part of ensuring that a population is healthy, Linton said. “I think the quality of life within a community has a huge impact … in terms of people’s overall health,” Linton said. That’s one of the reasons Mayo Clinic Health System has been supportive of efforts such as the Confluence Project and the proposed Sonnentag Event and Recreation Complex, Linton explained. “The availability of services that make a thriving community make it a better place to be, and if it’s a better place to be, people will come and work there,” he noted. That excitement hasn’t abated over the years. Through his leadership role at Mayo Clinic Health System, Linton has observed and participated in much of the change that has occurred in Eau Claire over the past few decades. Altough he was a full-time pediatrician during his first 20 years in Eau Claire, Linton joined Midelfort Clinic’s board in 1991, and helped lead it into the 1992 merger. While that merger – which made Luther Hospital and Midelfort Clinic part of Rochester, Minn.-based Mayo – created some angst locally, “It’s been a huge opportunity to bring more services to the community than were ever here before,” Linton explained. While local providers and patients can tap into expertise from Rochester when they need it, Linton noted that 97 percent of all care stays in the region, a testament to the range of services and specialties now available in western Wisconsin. 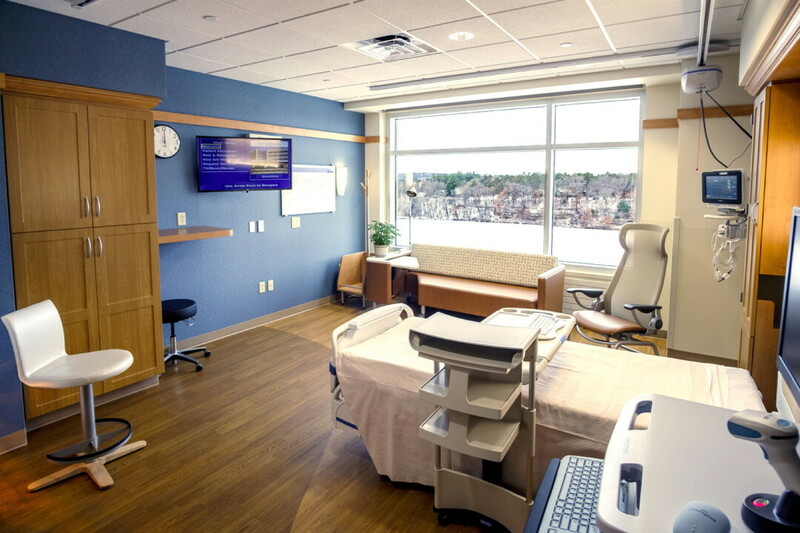 The remodeling of the fifth floor of the Luther Building, which was completed in 2016, is just one of the many infrastructure projects completed during Linton’s tenure leading Mayo Clinic Health System in Eau Claire. 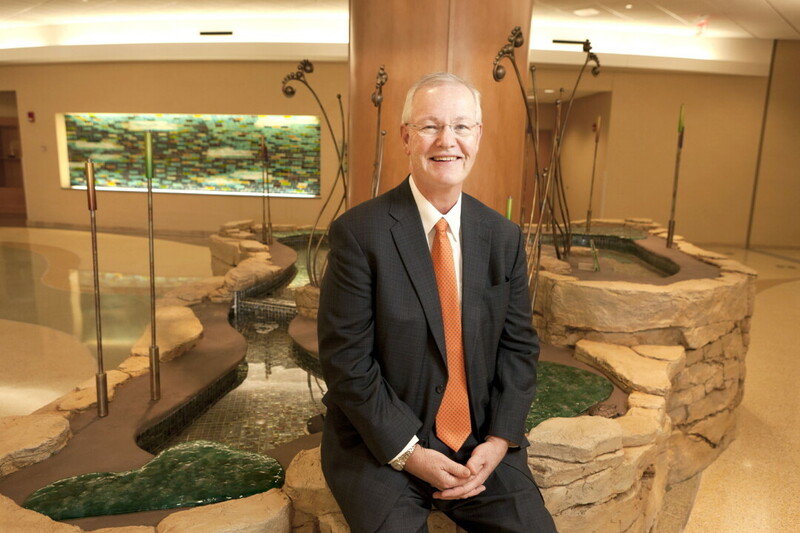 For more than 15 years before his retirement, Linton was president and CEO of Mayo Clinic Health System in the region. He transitioned out of his role as a clinical physician into that of an administrator. “I’ve been very fortunate and grateful to be able to be in both those roles,” he said. While a physician focuses on interacting with patients as individuals, Linton said that as a leader in the medical system he had an opportunity to consider how to improve the health of a broad group of individuals. Part of that effort involved implementing what’s known as the Mayo Model of Community Care, which focuses on addressing patients’ needs with a team-based approach. Physicians play a lead role, but nurse practitioners, care coordinators, and other professionals also work together to ensure individuals get all the care they need. The approach has shown particular promise for patients with chronic conditions, and has reduced the need for hospitalizations and emergency room visits. And for Linton, the collaborative approach extends beyond the Mayo organization. “More and more, if we hope to really improve the quality of life and the health of individuals, it requires partnerships,” he said. “No place can do it alone.” For example, Linton supported Mayo Clinic Health System’s partnership with the Eau Claire YMCA on a number of initiatives, such as Camp Wabi, a summer camp program for teens facing the challenge of obesity. He has also championed collaborations with UW-Eau Claire, and has personally worked as a volunteer and leader for a number of community organizations, including the United Way, Bolton Refuge House, Downtown Eau Claire Inc., the Children’s Museum of Eau Claire, and the Eau Claire Area Chamber of Commerce. Linton’s successor is Dr. Richard Helmers, who will hold the title regional vice president, and who arrived in Eau Claire from Scottsdale, Arizona, earlier this year to begin preparing for his new role. A few years ago, the couple bought a house in the Third Ward, in part because the proximity to the UWEC campus and downtown made it easy for them to bike or walk where they wanted to go. Linton expects to audit a few classes at the university to brush up on topics such as music, art, and history that he didn’t study earlier in his life. He also intends to spend more time woodworking (he rents workshop space at Banbury Place) and at the family cottage near Hayward, as well as with his three adult children and two grandchildren.